When it comes to wedding planning, a lot of thought goes into the overall look, feel and theme of the wedding. Couples spend a ton of time picking their wedding colors and making sure everything matches up perfectly so that when guests arrive, they are immediately wowed by the aesthetic. However, the wedding isn't the first time your guests should see what you've got planned. Your wedding invitation is the very first thing that people will see regarding your wedding, so it should paint the perfect picture for your guests about what to expect on the big day. You not only want it to be gorgeous and theme appropriate but, most definitely, match the overall color scheme. Many websites offer a few generic colors that will be sorta close to what you're doing, but not exactly right. You're forced to settle on an invitation that's close to what you need, but not exactly what you wanted. What if there was a website where you could have the exact colors you wanted, the wedding sets you needed, and the ability to see it all BEFORE you purchased it? 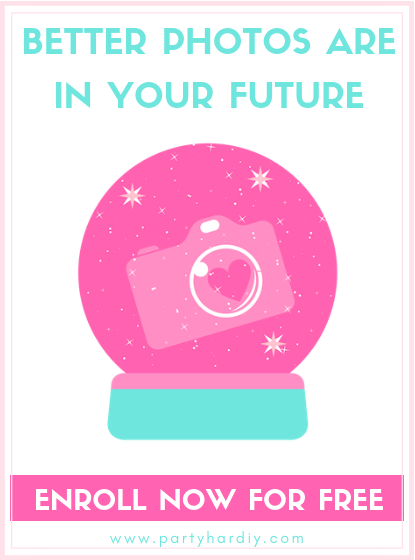 Does such a dreamy unicorn company exist?! Enter: Basic Invite. I was so excited when I was approached by Basic Invite to write a sponsored post and spread the word about ther AMAZING services! They have hundreds of unique wedding invitations, custom sample kits, and everything you'll need for the big day. Oh, and bonus? There's 15% off with the code 15FF51! 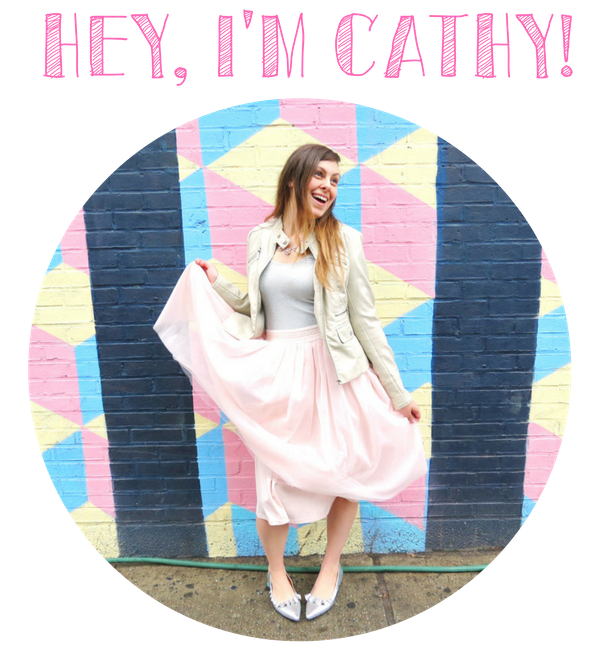 Here are some of my favorite things about Basic Invite (along with some gorgeous imagery!). Almost Unlimited Colors - Basic Invite is one of the few websites that has almost unlimited color options (with instant previews online too). Once you select a design, you can change the color of each element on the card to over 180 different color options. So, you can make sure the card is exactly how you want it - down to the littlest detail. This is what sets them apart from almost any other online stationery company. Over 40 Different Colors of Envelopes - Basic Invite is just as colorful with their envelopes as they are with their invitations. You can choose from over 40 different colors when it comes to their envelopes so that you can make your invitation stand out even before it is opened. All of their envelopes are peel and seal, so the envelopes can be quickly and securely closed. This is amazing when you need to seal 80+ envelopes and don't want to use a messy adhesive sealer or worse, your tongue! These colorful envelopes will allow you to pick your dreamiest color options, instead of whatever the card vendor decides to have available for your invitation choice. Over 200 Wedding Invitation Sets - Each of their wedding invitations is part of a set. 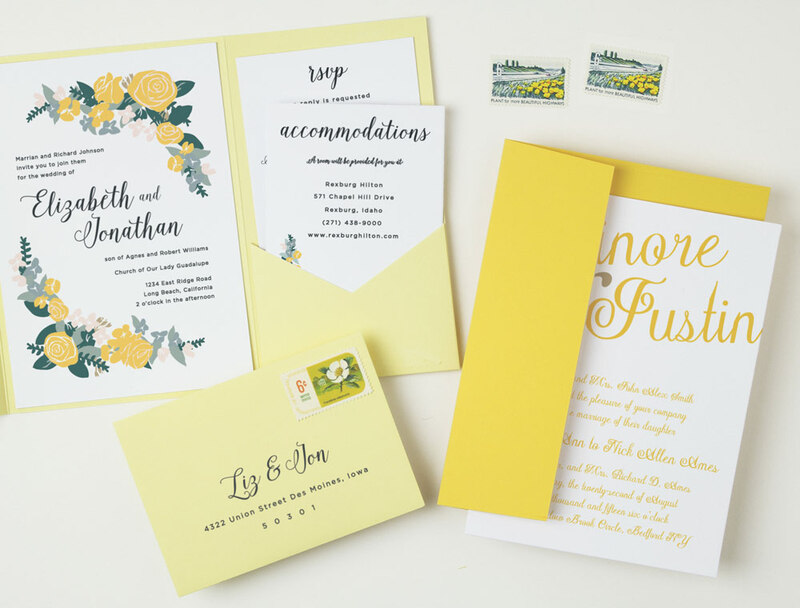 You can find everything from classic save the dates to wedding invitations and enclosure cards, wedding menus, wedding programs and even matching thank you cards! No more hacking together slightly-matching pieces or being forced to pick your second choice invitation because it's the only one that comes with a matching wedding program. With Basic Invite, you'll get exactly what you want and need, every time. Plus, they've even got matching place cards! Free Address Collection Service - Use their free address collection service to request your addresses with just three simple steps. Share a link, collect addresses, and get free envelope printing. It literally couldn't be easier! No more texting people for their addresses, copying it to an excel sheet and uploading it to a website. You won't be hoping you didn't make any typos or misformatted the sheet and jumbled up the names and addresses. Plus, some websites won't print addresses on your custom envelope choices. What's the point of that?! Basic Invite's address collection service makes everything seamless and gorgeous, every bride's 2 favorite words (Besides "I do"). If you're dying to see more (or if you're not in the market for invites right now, but want to stay in the loop) be sure to follow along on Basic Invite's Instagram and Pinterest pages so you never miss a post. It's seriously dreamy! So, head on over to Basic Invite to create your dream wedding invitation set today! And, don't forget to use the code 15FF51 for 15% off! Note: although I was approached by Basic Invite to write this post, all opinions are my own. I am dedicated to only talking about and using products that I love and will be useful to my readers. You can read more about my policies here.